The BBC Radio Gloucestershire Book Club 2015 – from left to right, Caroline Sanderson, Claire Carter and Debbie Young. You can tell how much fun we’ve been having! 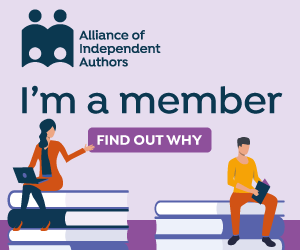 Until last year, I’d never belonged to a book club, and have since joined two that have added a new strand of enjoyment to my writing and reading life. During 2014, I joined the Bristol Historical Novel Society book club, run by local author Lucienne Boyce. I met some really interesting new people, including a historical re-enactor and a Roman-style chef, who at moments made me feel like I’d travelled back in time. The club also made me read outside my comfort zone – I’d not read many historical novels before, but now I’m hooked, and regularly review self-published historical novels for their Indies review section. Just as that group disbanded due to other pressures, another opportunity opened up – the BBC Radio Gloucestershire Book Club, founded by lunchtime show presenter Claire Carter. Together with my great friend Caroline Sanderson (non-fiction associate editor of The Bookseller magazine, and author of a very topical biography of Adele), we have been choosing and discussing a book of the month, as well as chatting about news from Gloucestershire book shops, libraries and literary events. We’ve challenged ourselves to read widely, taking it in turns to pick a title, choosing either books we’d previously loved that we were keen to reread and share, or books that we’d never read, but thought we ought to. To give you an idea of the range, authors represented included Brian Blessed, Ray Bradbury, Anton Chekhov, Matt Haig and Harper Lee. This month’s choice was mine – or rather recommended to me by my cousin Frances: J R R Tolkien’s Letters from Father Christmas, a charming collection of letters to Tolkien’s children that were purportedly despatched from the North Pole. We also shared our recommendations for holiday reading. As ever, we had great fun, tempered only by learning that Claire Carter will be heading off to BBC Radio Somerset in the new year, having been headhunted to present their prestigious Breakfast Show. We know she’ll do a brilliant job, and we’re looking forward to continuing the Club in her absence with Dominic Cotter, who will be taking over the lunch time slot from January. Our next Book Club date is Tuesday 12th January at 12noon, when we’ll be comparing notes about the books we had for Christmas, and nominating our first book of the month for 2016. If you’d like to listen but aren’t in BBC Radio Gloucestershire’s catchment area, you can listen online, or catch it afterwards on the BBC’s fab iPlayer service. In the meantime, happy Christmas reading – and if you’re wondering what you should read this Christmas, you might like to check out my Stocking Fillers, which at the top of this month’s show, Claire generously praised, having read one of the stories, Good Christmas Housekeeping, at a charity event, to prolonged applause! Previous Post What’s in a Book Title?